The fiber book is also available in Spanish and French. 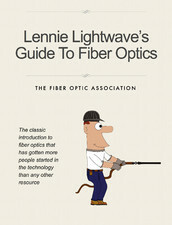 Lennie's and Uncle Ted's Guides are also not available as free iBooks on iTunes. Click on any of the books to learn more. 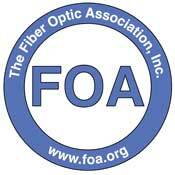 It's now CFOT® The FOA CFOT® (Certified Fiber Optic Technician) is now a registered trademark. Please note: you should read these directions carefully as they will simplify the process. Applicants are expected to review the FOA requirements and verify that their experience meets FOA requirements themselves before applying. Prepare a proper resume (CV) as it will be required when submitting an application. You must have at least 2 years experience working in a technical field that involves fiber optics. The requirement is to have been involved with fiber optics for a period of time, not in a particular task. We expect the work to be in the following technical areas: telecommunications, Internet, CATV, IT/LANs/Data Centers or any of the many fields that use fiber for communications like the oil and gas industry, industrial controls, intelligent highways, security, military or government services, etc. We expect the work to be in the following types of job categories: design, install, test, manage, operate, maintain and repair fiber optic networks or supervise technical workers. About the only job functions we do not recognize for work experience and certify are general management, marketing or sales. Installation techs would qualify, including cable pullers, splicers or test techs from telco outside plant work, premises cabling techs who make field terminations, or FTTH techs who mainly install prefab cabling systems. We also have techs and engineers working in companies manufacturing fiber optic components. You should also include other training you have received, including training by manufacturers or other schools or training organizations. Document all this experience in your resume (CV) which will be submitted to the FOA for review. 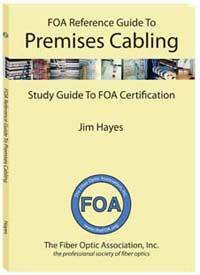 Before sending your application for taking an online FOA Certification exam, you should verify your knowledge by taking the Fiber U online exam that corresponds to the FOA certification exam you wish to take. The cost of the exam is $20US. The free Fiber U online courses are an excellent way to prepare for your exam. At the end of each lesson in the course there is a quiz for you to test your comprehension. When you take the quiz online, it will grade your answers and give you the correct answers along with an explanation. After you check your answers, return to the study materials to find out why you missed any questions. 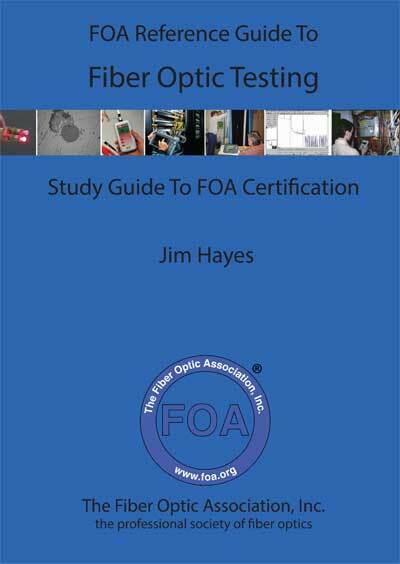 Once you are confident of your knowledge, take the Fiber U Certificate of Completion exam. 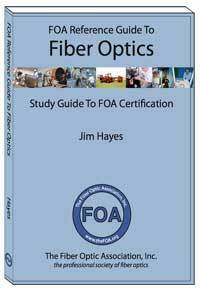 You will get a Fiber U Certificate of Completion in pdf format. 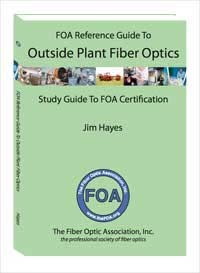 This Fiber U Certificate of Completion becomes documentation of your knowledge of fiber optics and should be part of your portfolio of documented knowledge, other training and work experience that can qualify you to apply for FOA direct certification through the FOA "Work to Cert" program. Fill out the application for the online certification exam and submit with your resume showing 2 years of acceptable experience and a copy of your Fiber U Certificate of Completion. As part of the application, you must provide the name of a proctor. The proctor is a person who agrees to supervise you while you take the online FOA certification exam and verify that you have taken the exam without assistance from other people or referring to a textbook or online reference. Read the application carefully. Contact the person who you want to ask to be your proctor and set a date and a place to take your exam online. Note: you need to select a date for the exam that is at least a week from the date you submit the application to the FOA. You need to sign the application and your proctor needs to sign their application also to confirm that he/she will follow the FOA guidelines on page 3. 2) Attach a Certificate of Completion from one of the 14 different free Fiber U certificate programs that corresponds to the certification you are applying to take. 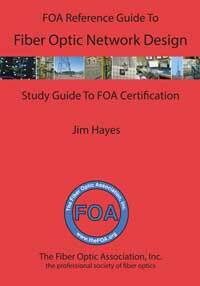 This Fiber U Certificate of Completion becomes documentation of your knowledge of fiber optics and should be part of your portfolio of documented knowledge, other training and work experience that can qualify you to apply for FOA direct certification through the FOA "Work to Cert" program. 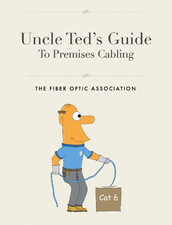 An educator in your community, but not the fiber instructor who has previously trained you. If your application is accepted, we will email to let you know. The fee for this is exam is $1000US and you will pay it online when taking the exam. Payment is made using a credit card or PayPal as part of signing in to take the exam. You must arrange with your proctor a date for the exam and email this date to staff@thefoa.org. We will then provide the directions and a link to the exam – you must take the exam on the date you submit to the FOA. If you open the file before this date, the test is voided, your application is rejected and the test fee is not refundable. If for some reason, you or the proctor cannot meet at the designated time or place, DO NOT take the exam. Contact the FOA office – staff@thefoa.org - to reschedule the exam date. 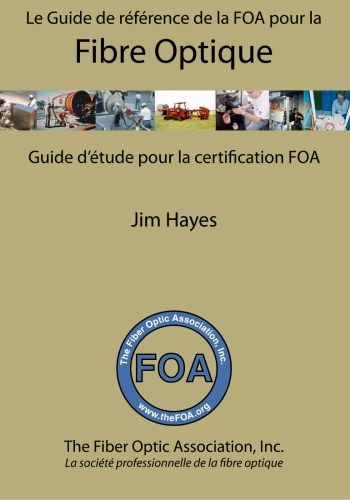 The FOA certification exam is a closed-book, timed exam. The proctor will verify you took the exam alone without assistance. The test will record the time you start the exam and limits your time available to take the exam. Before the day of the test, please review the directions again. Your test results will automatically be sent to the FOA. 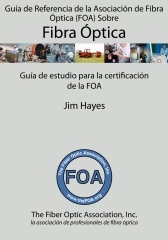 If you pass, you will immediately receive a FOA Certificate to verify your certification. Your certification ID card will be sent to you if you live in the US or Canada and emailed to you in all other countries. 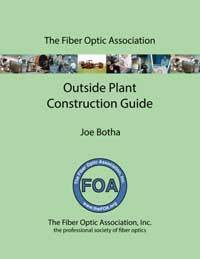 (C)2019, The Fiber Optic Association, Inc.